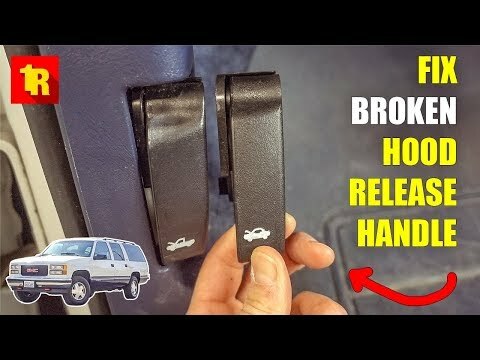 In this video I show you how to install a hood release handle in your 1995-1999 Chevy or GMC full-size truck and suv. This is for the GMT-400 platform but may be similar for other platforms such as the GMT-800 and may also be similar for earlier years such as 1988-1994 Suburban, Sierra, Yukon, Silverado, Tahoe, Escalade. FTC Disclaimer: I am an Amazon affiliate. As such, I earn a percentage of sales made through Amazon Affiliate links found in the description of my videos and on my website and other places. Awesome video love watching you work on that old suburban. I have a 95 suburban, no where near as nice as yours.